Jeff Glucker March 29, 2018 Comment Now! More aggressive styling appears to be the order of the day. Many automakers are applying an extra dose of pumped-up sporting pretenses. The latest machine to get this treatment? 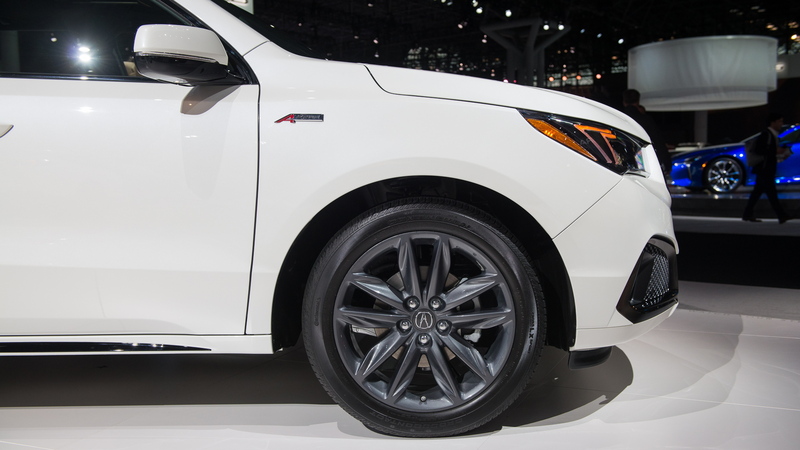 The new 2019 Acura MDX A-Spec, which was unveiled on Wednesday at the 2018 New York auto show and is due in showrooms in the summer. This game is familiar by now. Revised fascias, dark trim pieces, and a fresh badge to denote the altered dynamic presence. That's what the MDX A-Spec delivers for the crossover SUV shopper that would prefer they were driving something with more actual punch. As opposed to the increased visual punch they've ordered up. 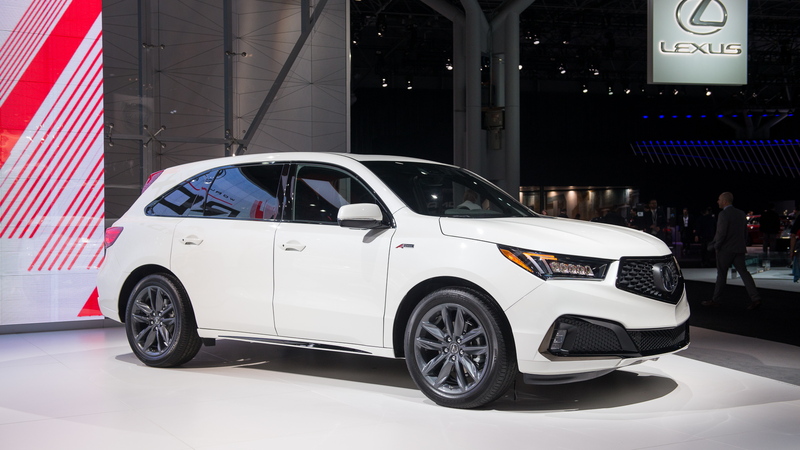 Now that's not entirely fair to the MDX A-Spec specifically. After all, this is a vehicle that comes packing the truly delightful Super Handling All-Wheel-Drive (SH-AWD) system and a 290-horsepower V-6 (it hasn't been announced for the 321-hp Sport Hybrid powertrain yet). Additionally, the styling upgrades actually work rather well here on the mid-size luxury SUV. The reworked front fascia fits the face perfectly while the body-colored side sills help create a vision of a more athletic stance. The ten-spoke 20-inch grey alloy wheels help out there as well. Inside the cabin, MDX A-Spec variants receive sport seats boasting red or black leather trim contrasted by black Alcantara inserts. There's also contrasting stitching, unique A-Spec gauges, sport pedals, and faux carbon fiber trim. Your hands will enjoy the thicker A-Spec steering wheel that comes fitted with paddle shifters. While we wish Acura was also announcing a TLX Wagon A-Spec, we have to live in the real world which is dominated by two and three-row SUVs. 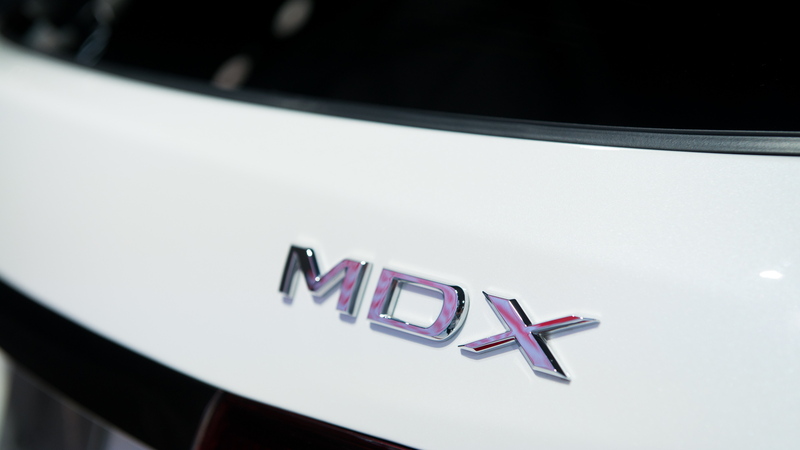 The MDX is a money-printing machine, and the addition of the up-styled A-Spec certainly won't hurt those sales. 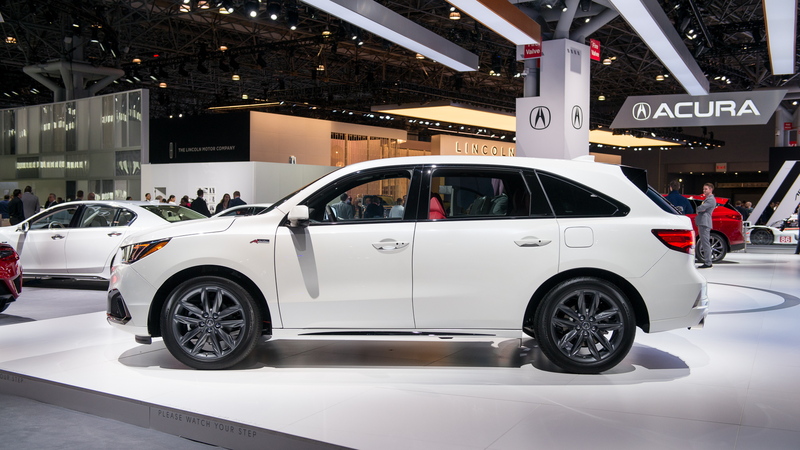 But there is a bit more interesting news casually sprinkled into the N.Y. auto show arrival of this MDX. While the A-Spec badging could easily stand for Appearance Spec Only, you know that you're in for a bit more dynamic entertainment if you find an Acura product labeled Type-S. Acura is re-confirming the return of Type-S models in the near future, and this is exciting news. When an Acura gets the Type-S treatment, that means you can expect more aggressive chassis tuning, more performance, and more power. Hopefully Acura finds a way to filter its Type-S goodness through the entire lineup. Yes, even the MDX. Because we live in a time when even crossovers and SUVs can be a blast to drive. 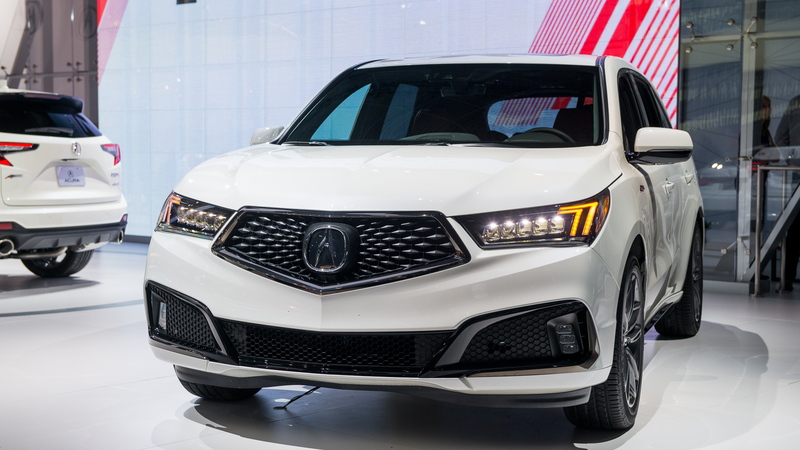 Acura also used the N.Y. auto show to present a redesigned 2019 RDX. To learn about other vehicles appearing at the show, head to our dedicated hub.